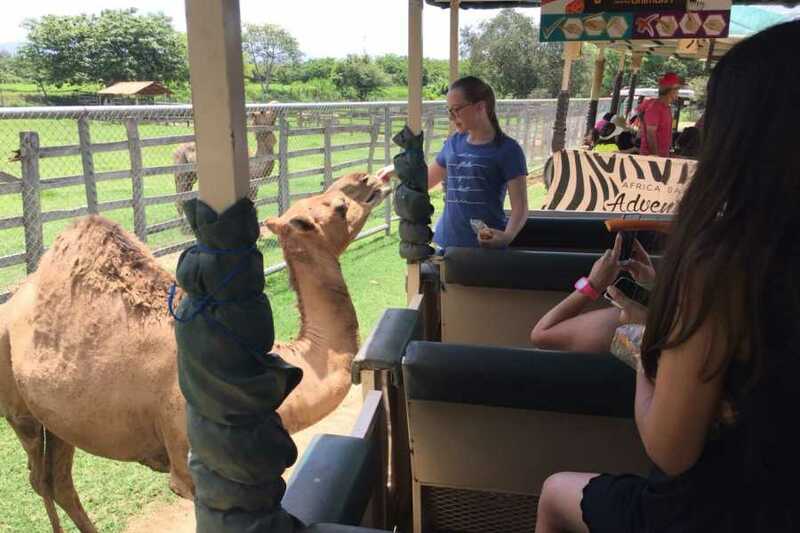 Africa Safari Adventure Park Day - Congo Trail Canopy Tour, Your family friendly experience providing canopy zip line tours in Guanacaste, Hanging bridges, platforms, rapelling and extreme superman zip lines and tarzan swings to visitors visiting Costa Rica. Did you know that African wildlife feels right at home here in Guanacaste's pastureland? The eco-system mimics that of the plains of East Africa. 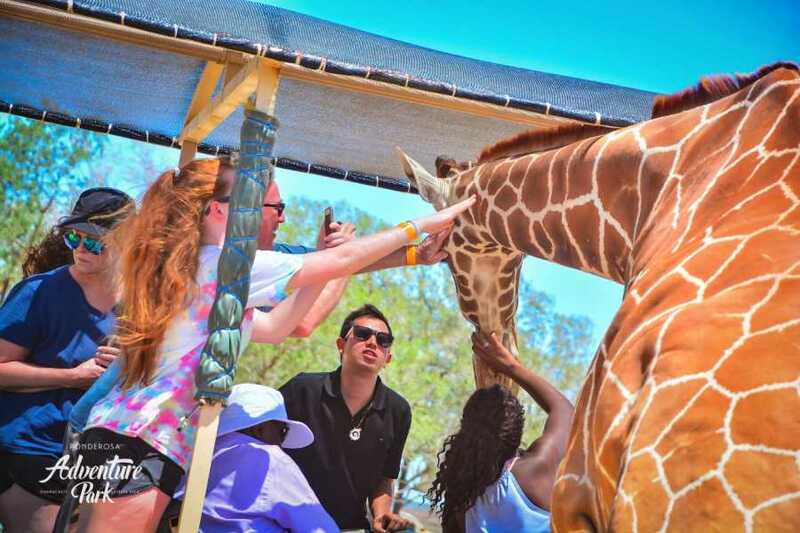 Welcome to Ponderosa where you can hand feed the friendliest giraffes in the world and much much more. 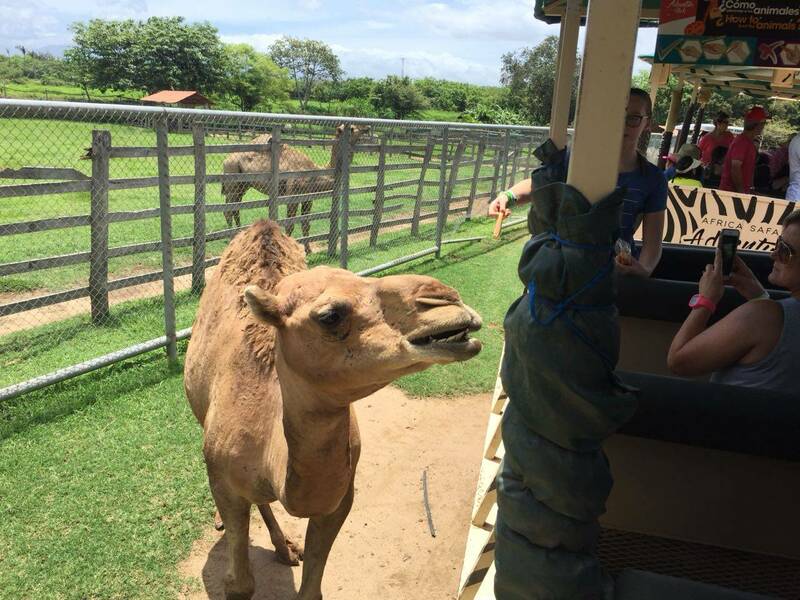 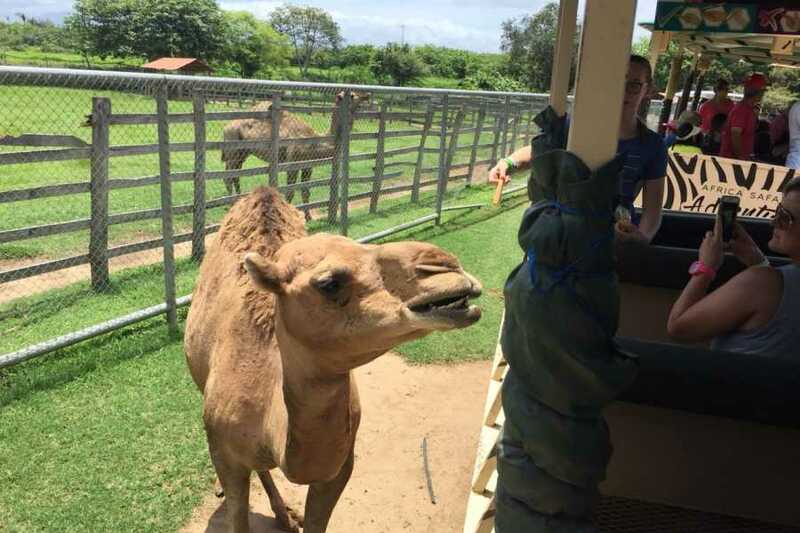 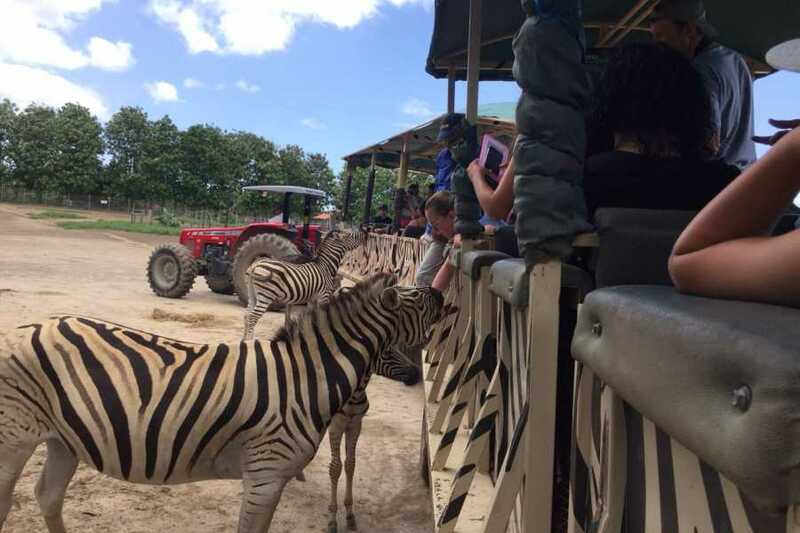 The park has some 300 animals from 22 different species; 11 of them are African species that you can observe and some of these you can feed with carrot sticks. 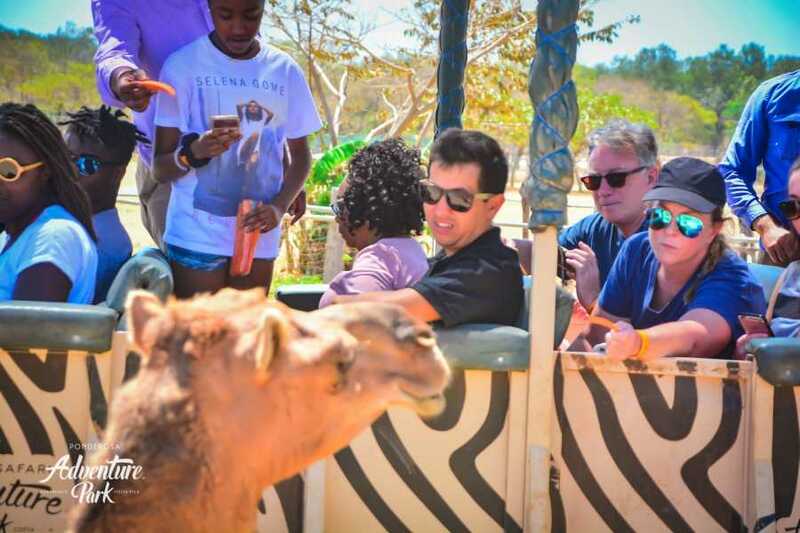 They live comfortably in a freedom-controlled 30 hectare area. 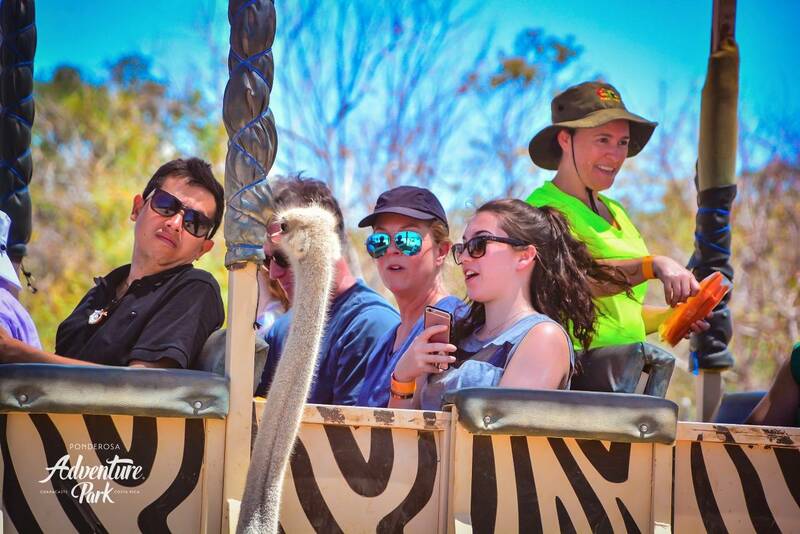 During this incredible ride on board our special safari tour trucks, one of our trained guides will provide you with information and facts about every species. 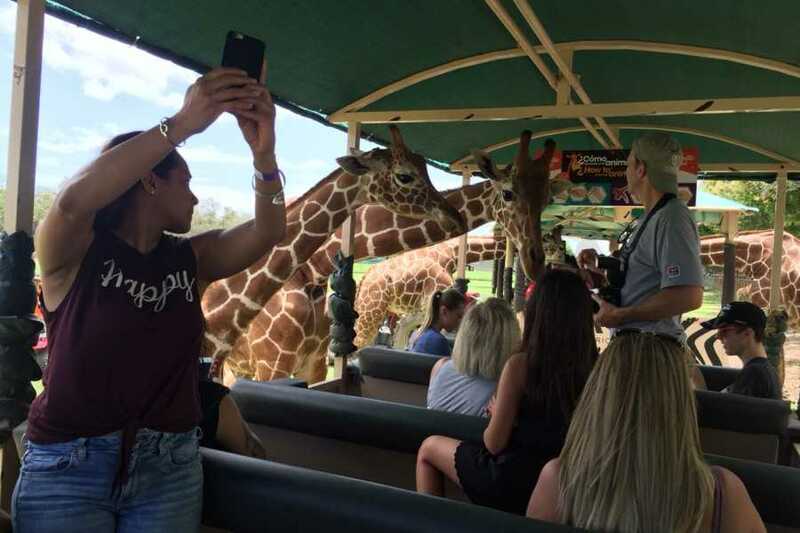 The tour takes approximately one hour, and each truck can carry 25 people. 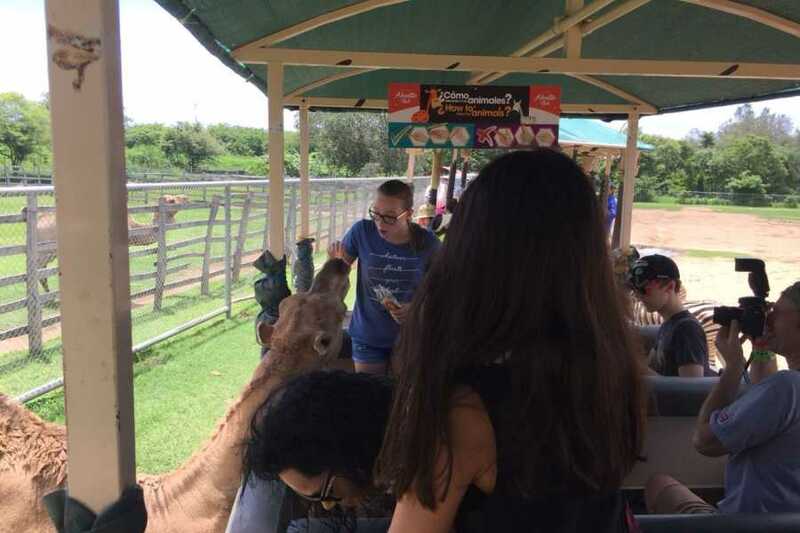 You can purchase the carrot sticks inside the park. 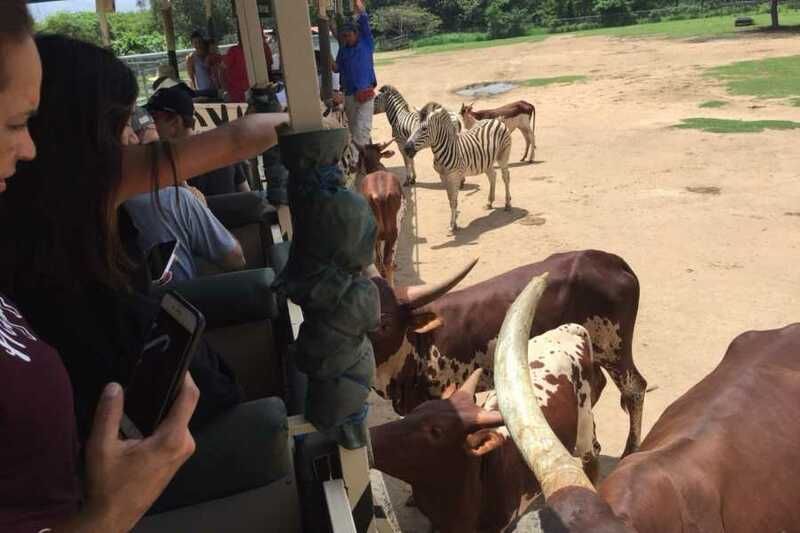 Once you have worked up an appetite from your Safari you may enjoy a traditional Costa Rican lunch right in the park. 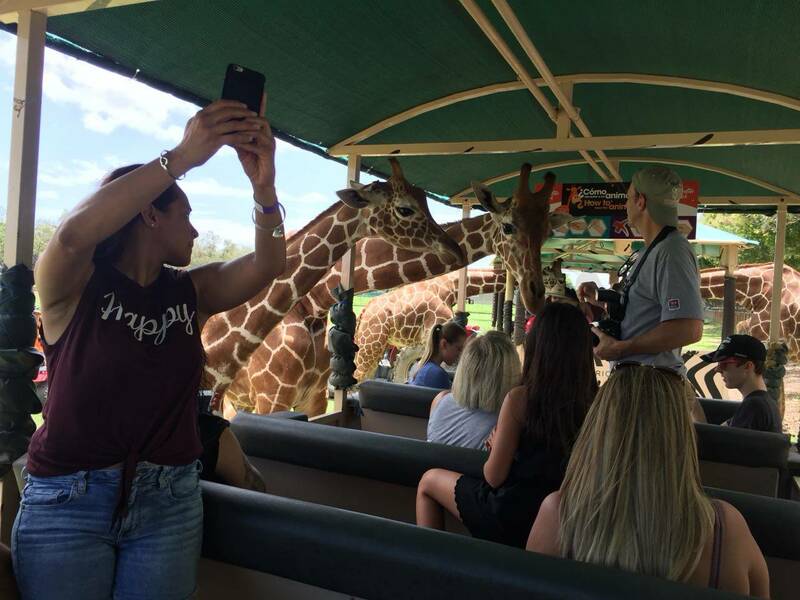 You can also choose to add an afternoon at our waterfalls details Below. 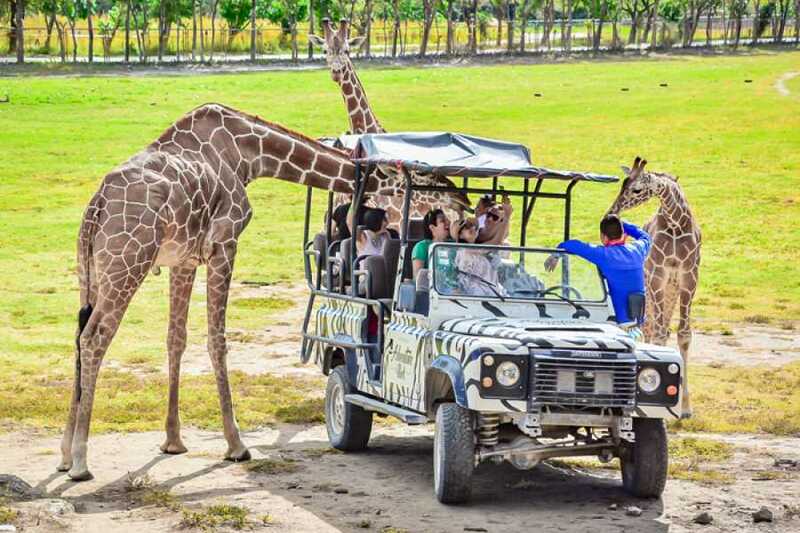 Africa Safari Tour: In a space of 30 hectares more than 250 exotic animals live and interact with visitors. 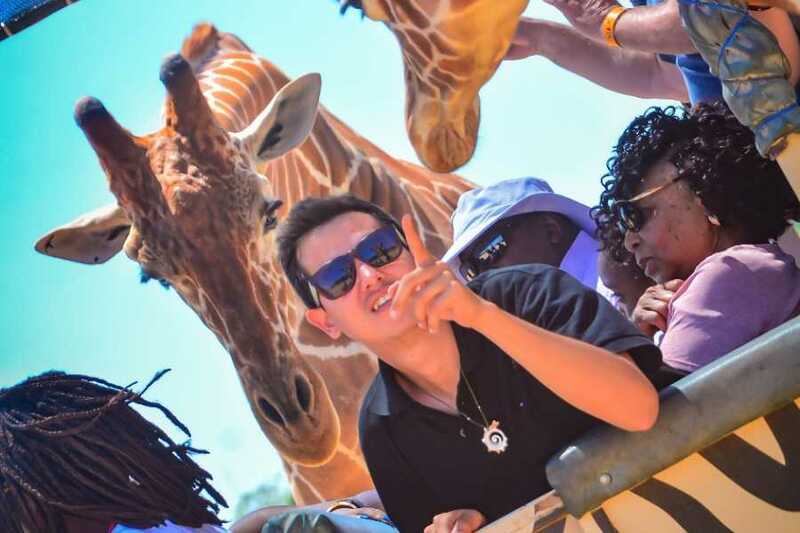 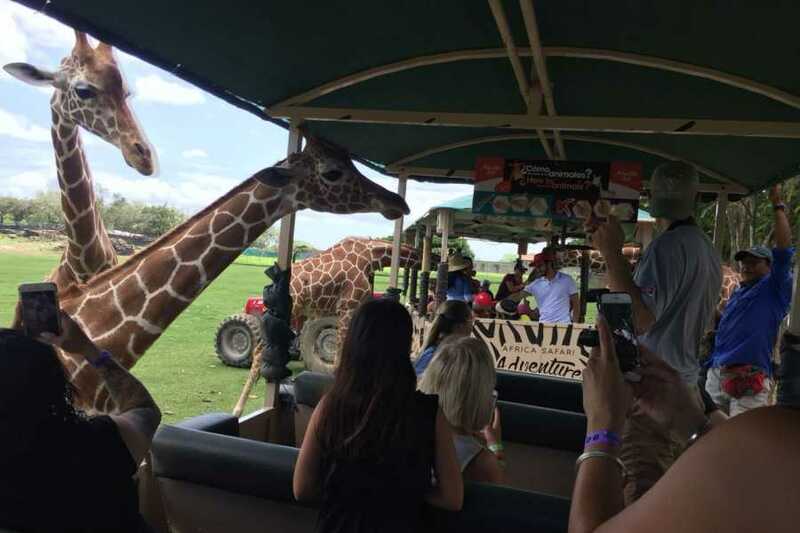 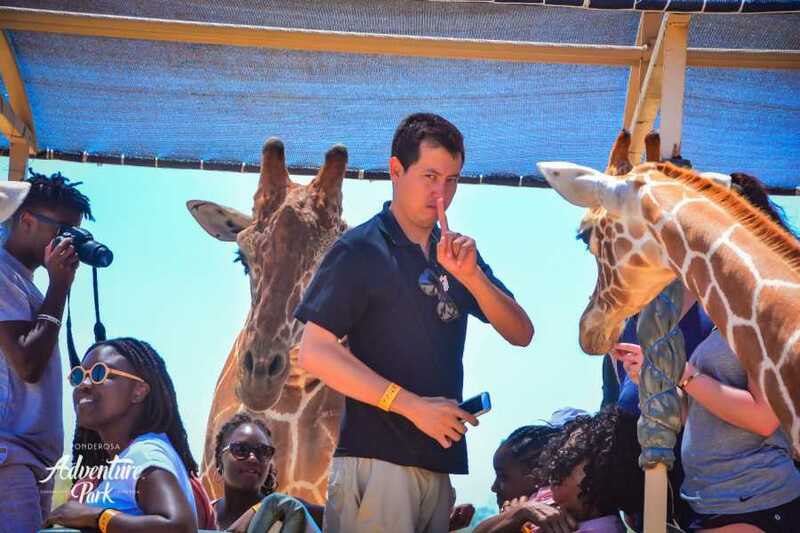 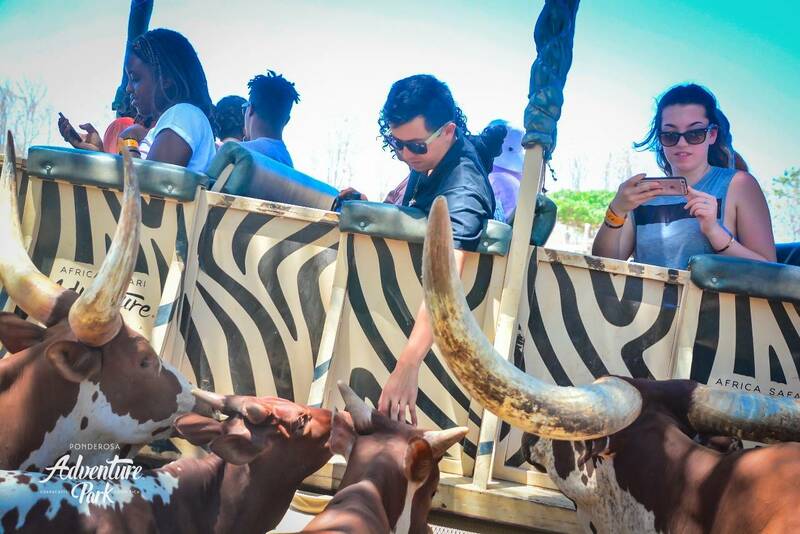 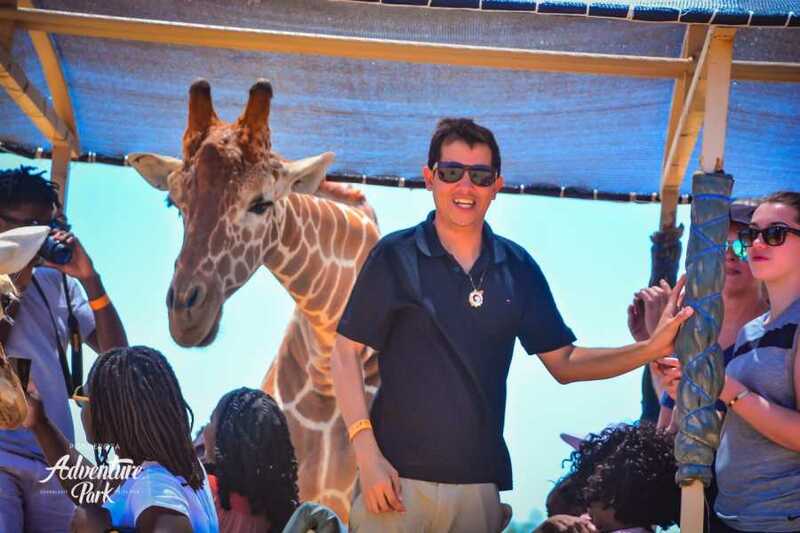 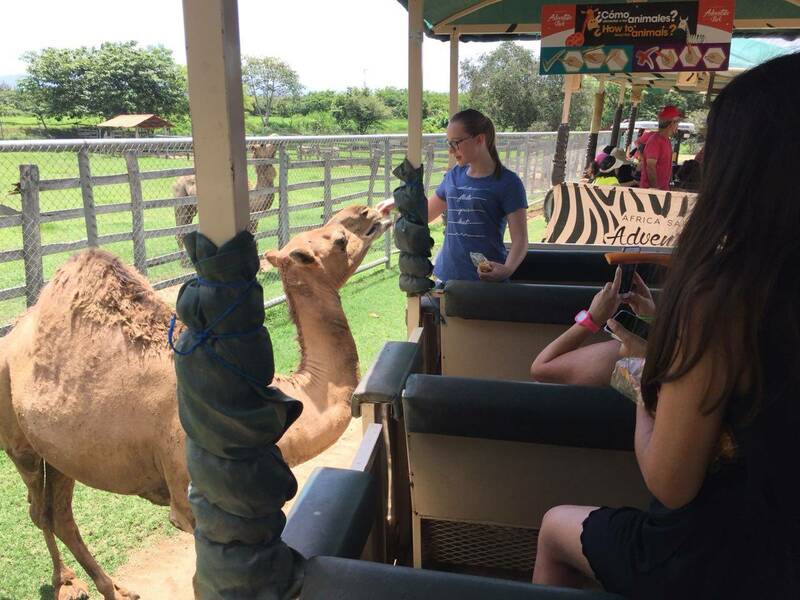 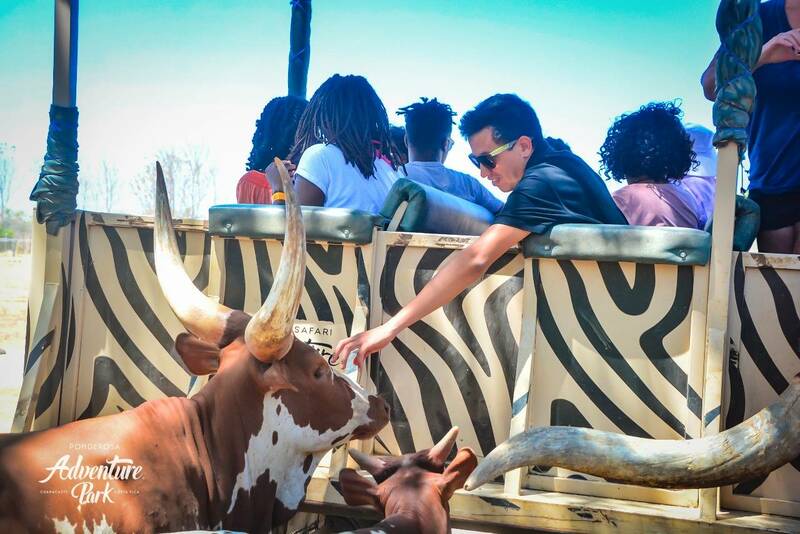 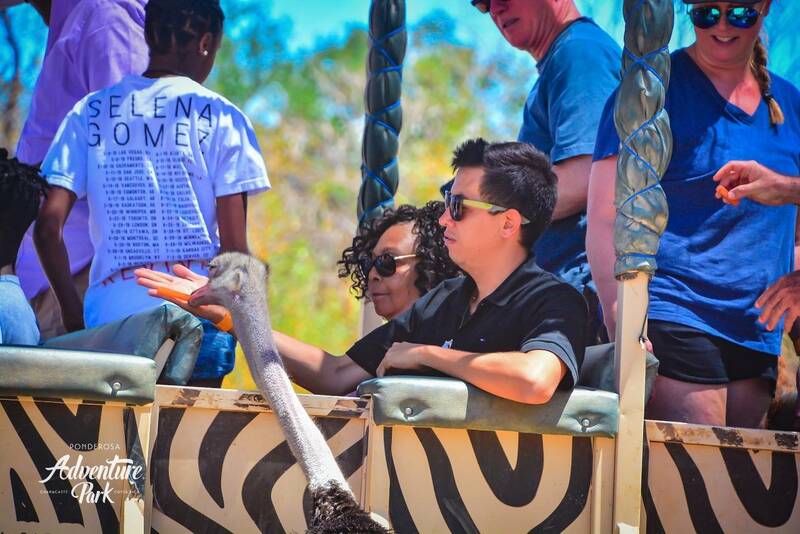 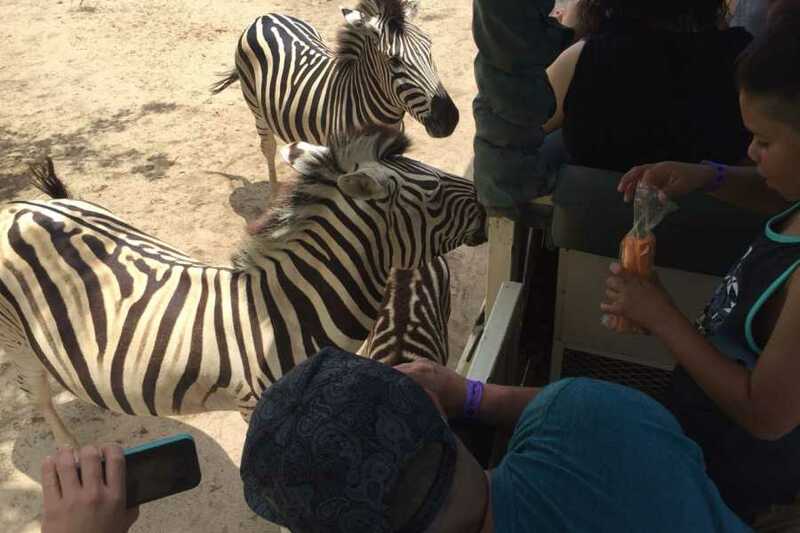 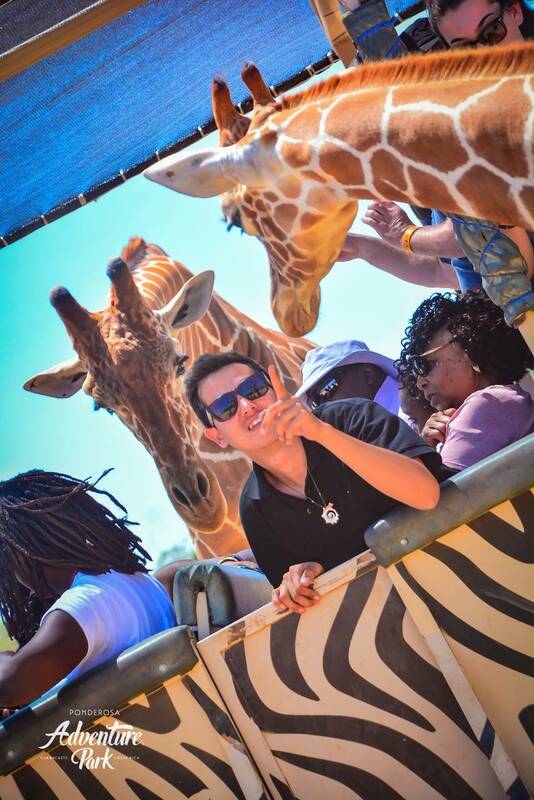 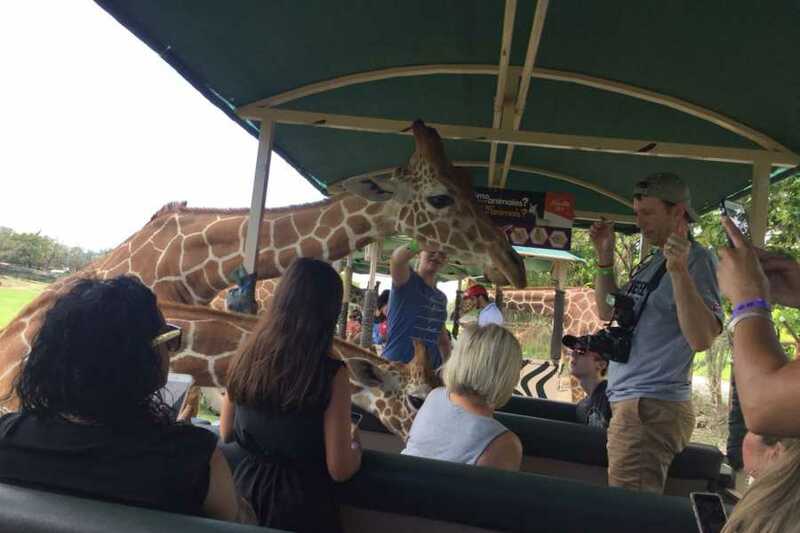 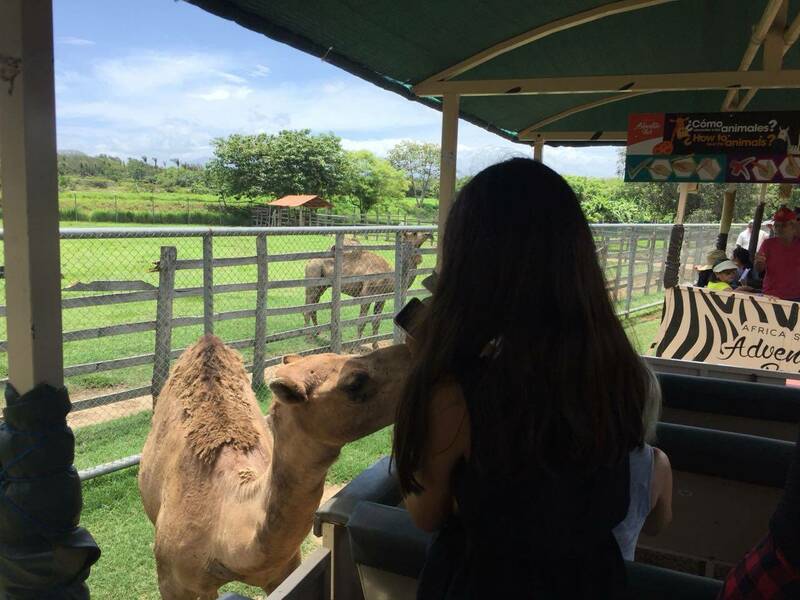 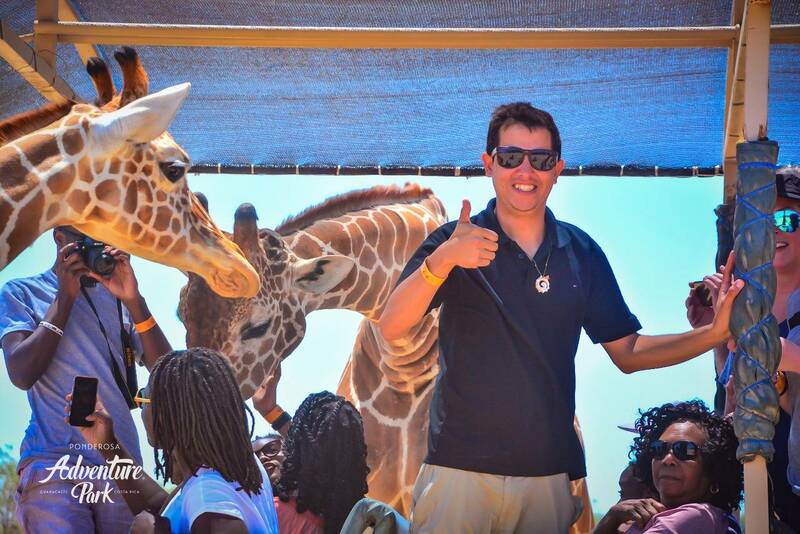 This safari allows you to see up close, feed and even take selﬁes, with giraffes, zebras, watusis, wildebeests, dromedaries, ostriches, oryx, and nilgai, among others. 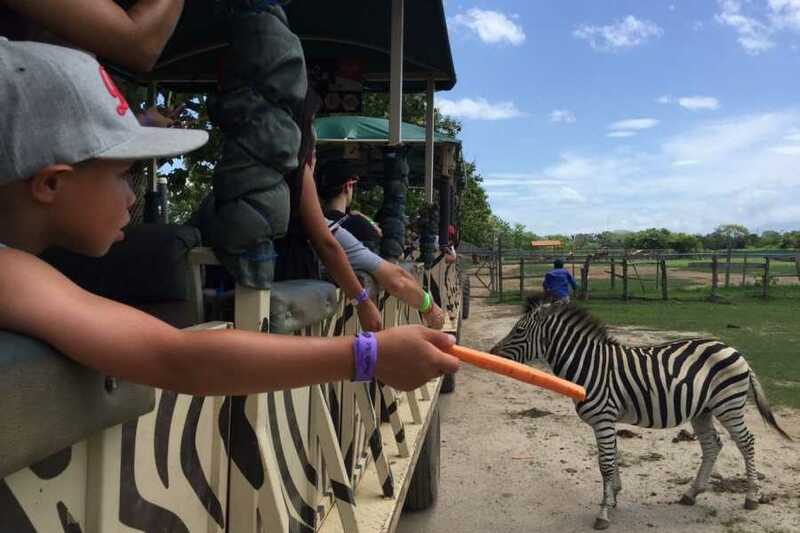 In the restaurant area, we offer carrots to facilitate the interaction with the animals. 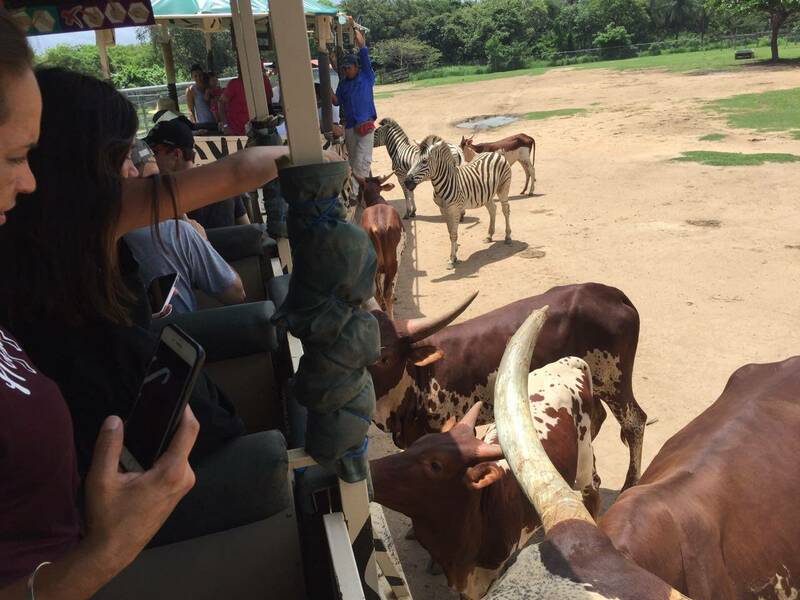 Waterfalls: El Salto River, which crosses the park gives you the opportunity to enjoy the La Perla waterfall and swimming area. 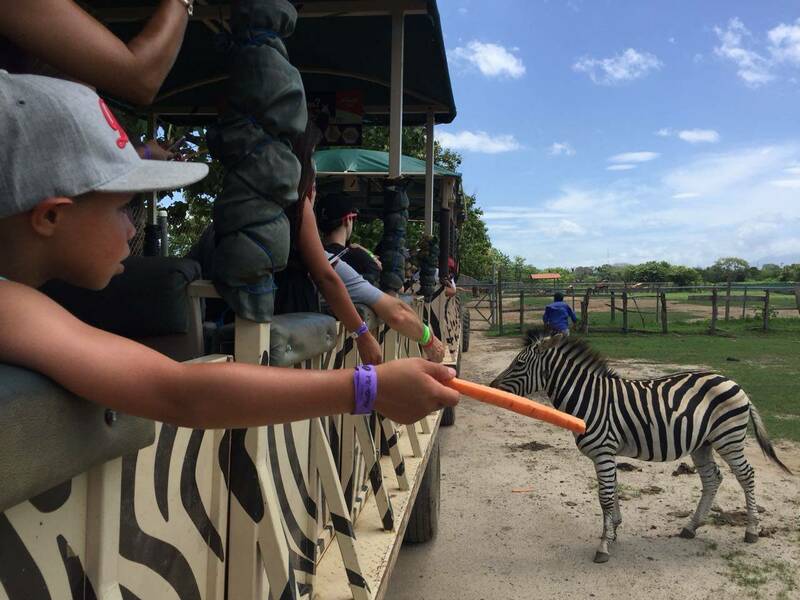 Enjoy taking your time and bring your bathing suits to enjoy family friendly fun by swimming area. 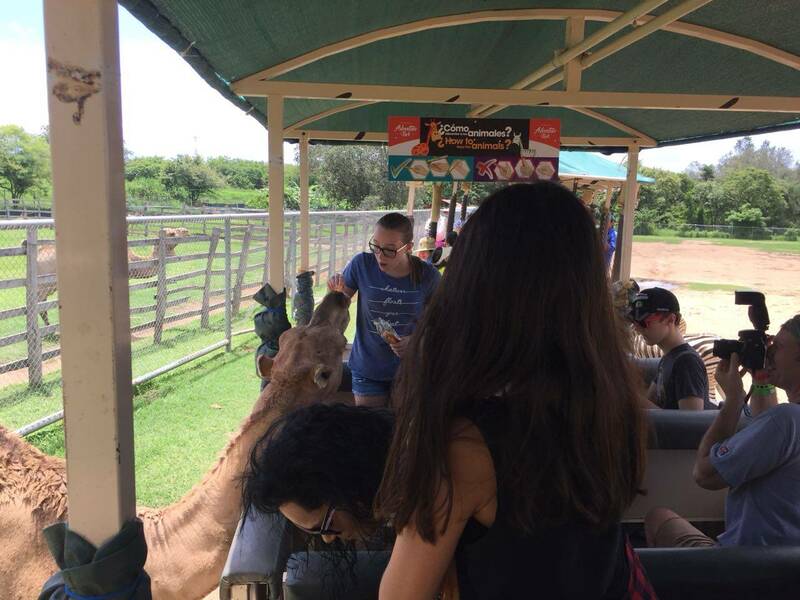 We have multiple ways for you to enjoy your activities. 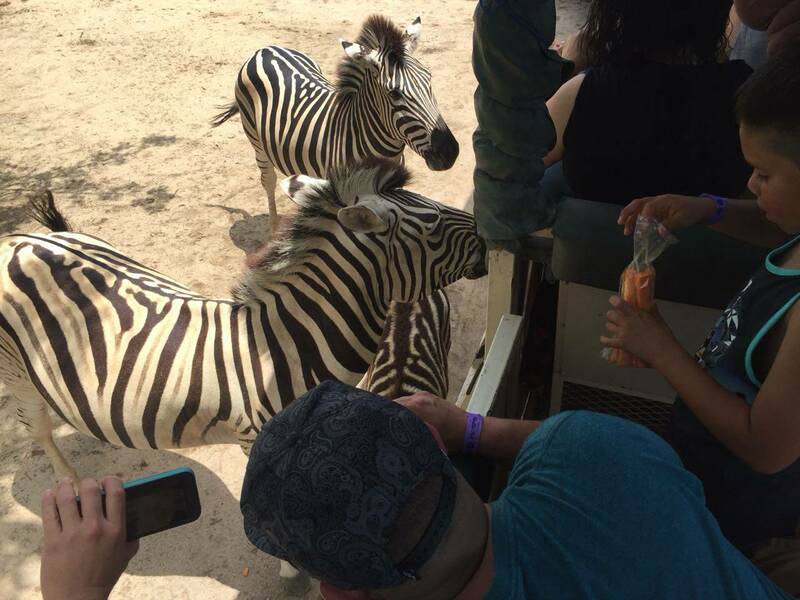 In order to bring you the lowest possible prices we have different price options and combinations. 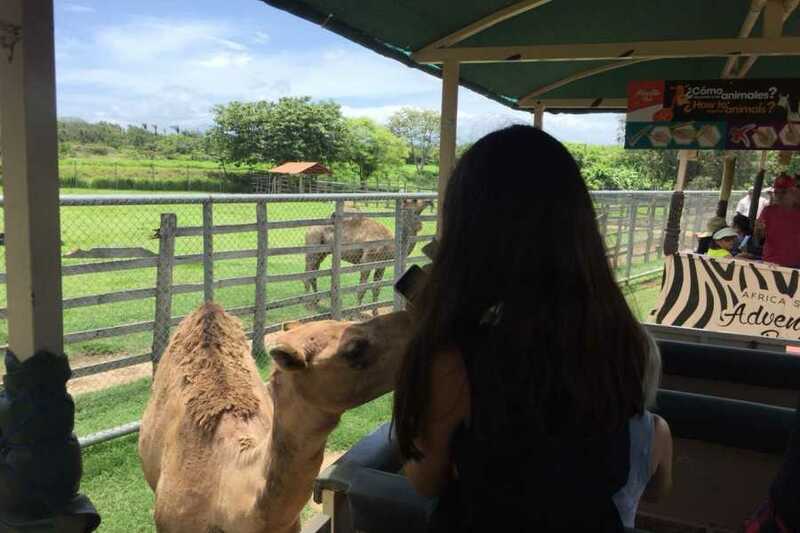 Self-Transported: for people who have their own transportation and would like to have the lowest cost and their reservation paid in full and waiting for them, there are guides at the location and you have the option to add on a traditional Costa Rican lunch if you like. 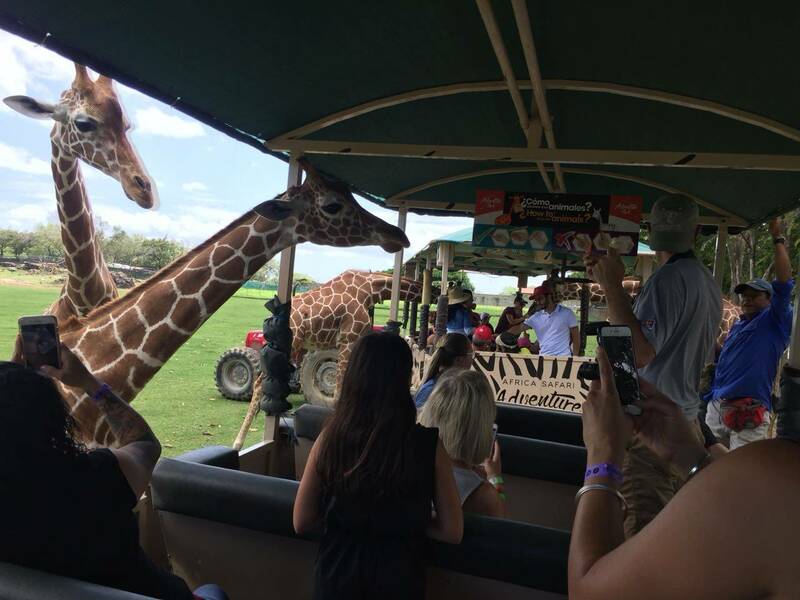 Transported: We will pick you up where you are staying and take you to the Africa Safari Park. 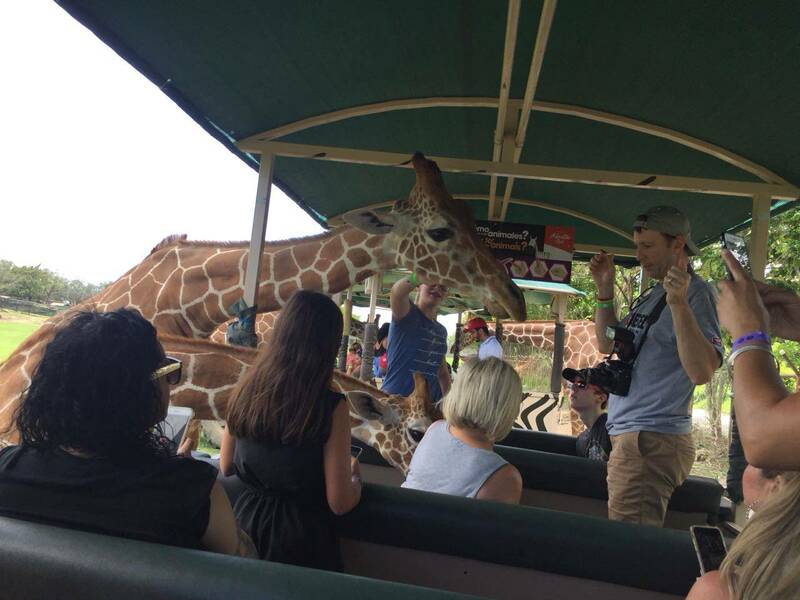 This option includes transportation, a guide, Africa Safari and waterfalls and lunch.